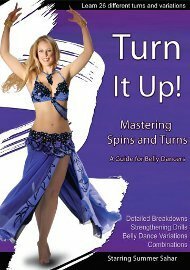 Once you have the foundation needed to skillfully execute these turns they can then be modified an incorporated into your own style of dance. By playing with arm placement, speed, and body alignment you can stylize these turns to make them your own. No matter what your style of dance, you are sure to wow your audience with fast and fluid turns that stop on a dime.